Former UFC fighter “Sugar” Shane Nelson admits that, sometimes, bad decision making has derailed his career. Following a stint on The Ultimate Fighter that was less than exemplary, Nelson had managed to start rebuilding his career when a loss in Japan in February against Takasuke Kume halted his momentum. 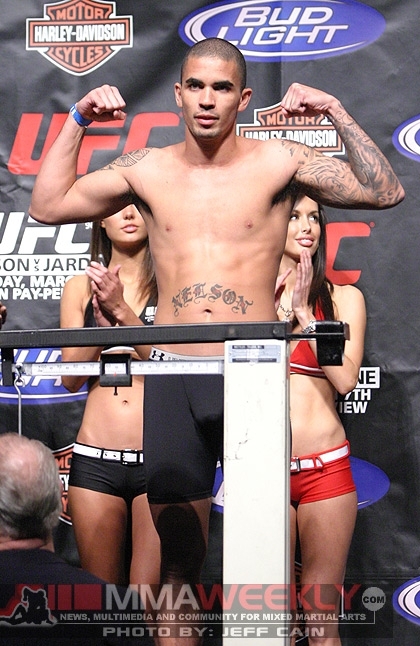 Prior to the loss to Kume, Nelson had won three fights in a row following his release from the UFC in 2009. “After the UFC, I took a year off and went back to training jiu-jitsu and got back to basics; back to having fun training and not having to train for a fight; and just got my hunger back,” said Nelson. Nelson will have an opportunity to rebound on Oct. 26 for the Maximum Fighting Championship at MFC 35 against Graham Spencer live on AXS TV. “Of course, I think at some point in the fight I’ll be on my back because he looks like he’s pretty relentless and will keep shooting until he gets me there, so my job will be to not let him hold me there,” said Nelson. “I’ll try to work a couple submissions and if that doesn’t work, I’ll try to get back to my feet. Nelson told MMAWeekly.com that he looks at this fight as a chance to start the next phase of his career. “For sure, this is a fresh start at 145 pounds,” said Nelson. “If the UFC would have had a 145-pound division (at the time), I would have been in it, but they didn’t, and to me the reason I lost those fights were because I was the smaller guy. It wasn’t because I was out-classed. They were just bigger guys who were able to control where the fight went. Stay tuned to MMAWeekly.com for all the latest MMA news and updates.